Today I want to talk about a new product I recently had the opportunity to try called CharMats. CharMats are a silicone BBQ mat that despite the name, are not meant for grilling on, so don’t be tempted to try it. These mats are actually for protecting your grills side shelves from scratches and everyday wear and tear. They are also meant for keeping your grill clean and looking like new by protecting against sauce, seasoning and food spills. Before I go any further, I want to state up front that I did not purchase these mats myself. In fact, I had never heard of this product until the owner and creator of CharMats, Ryan Young, contacted me through this site and asked if I would like to test CharMats out for free in exchange for sharing my experience with them. I agreed on the condition that he understood I would be providing an honest and thorough review on his product. I would be sharing the good as well as the bad if I came across either, and I let him know I would not be holding back because I received a free sample. 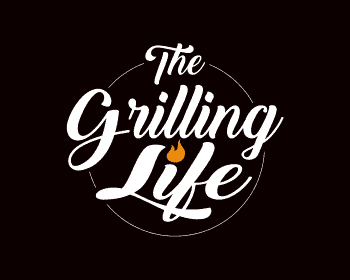 At TheGrillingLife.com, I pride myself on honest, unbiased and thorough reviews on products and refuse to compromise my integrity or short sell my readers. He agreed to my terms and sent me a set of CharMats. I also want to point out that in his initial request; he stated he would appreciate an honest review. I respected that. With that being said, let us get on with my honest and unbiased review of the CharMats, protective silicone BBQ mat. I’m willing to bet he is not the only one worried about the look and protection of his grilling investment. Great Job Ryan! What Are The Benefits – What Problem Does CharMats Solve? How many times have you dropped your tongs, (and in my case, a bottle opener, spatula, grill brush, plate, a whiskey glass…you get the picture) on your grills side shelves and watched in seemingly slow motion as it proceeded to leave an ugly dent or scratch on your pride and joy? This is the same grill you proudly display on your backyard patio for all to see and imagine your outdoor cooking prowess. It’s heartbreaking to see your shiny and hard-earned investment slowly lose its luster and new appearance. On a less damaging note, if you haven’t dripped BBQ sauce or your favorite marinade all over the side shelves while basting your favorite meats, then you are a better man or woman than I am. I spill on the grill at least 3 times a week if not more and I’m willing to bet I’m not the only one who has this problem. I had just about convinced myself to invest in the paper towel industry with as many as I go through while cleaning up after my clumsiness. With CharMats, spills are confined to the silicon rubber mat and are easily wiped up or rinsed off with dish soap and paper towels. If you’re a grill junkie like me and treat your outdoor cooker like a prized piece of furniture, and in my case, my pride and joy, then keeping it looking nice is a must. Quality grills are not cheap nowadays and prolonging their lifespan should be a top priority. Can you relate or is it just me spreading the crazy again? Enter CharMats, the answer to my happy and healthy grill obsession. Or are they? I was eager to see how they would stand up to my four to six times a week grilling addiction. CharMats might sound simple to use in theory but it’s trickier than you may think. Ok, it’s really not. It’s a mat! But yeah, these are a great low-tech option for protecting your grilling investment for the long run. Just place the CharMats protective silicone BBQ mat on one or both of your side shelves and they are ready for use. The no slide silicon rubber surface help keep them in place. The smooth, rounded edges help keep spills and dishes on the mat and look nice too. You can leave them in place all the time, or remove them to use on another surface like the kitchen counter. CharMats are custom designed not only for appearance but for functionality as well. The top face is molded to look like a grill grate design and features the CharMats logo on the bottom. The logo is simple yet clean and looks nice. CharMats are molded premium silicone rubber measuring 12″ x 16″ to fit most any grill shelf. They feel sturdy enough to stand up well to regular use and while not overly heavy, they feel solid. They feature raised, smooth rounded edges running around the outsides of the mat and a raised grill grate design on the face. The bottom surface is smooth and sat easily on my grill shelves. They did not slide back and forth unless I really pushed on them. Not having to worry about mats covered in equipment or bowls slipping off was a nice feeling. I have been using CharMats on all three of my grills for a couple of weeks now and so far, I have been impressed by the look and function of them. I have even used them in the kitchen while seasoning a tri-tip. Worked like a charm. They fit nicely on all the grills shelves and almost looked like they were a part of them. And yes, I have spilled and dropped several things on them already. While they got dirty, after washing them off, the surface stood up to the abuse with no visible defects. Best of all, my grills were still shiny and clean underneath! You know how I said they felt sturdy and should stand up well to regular use? Well, while putting them to the test I purposely left one outside on the grill for two weeks to see if the weather would affect the appearance or cause damage. I didn’t cover my grill during this time (gasp!) to see what would happen. At one point, after the gardeners had come by, the grill and mats were covered in dust and debris. I just rinsed them off and they were good to go again. Another time, my 5-year-old daughter was playing in the backyard and decided to use the mat to dig and move dirt from one hole to another. After I saved the mat and cleaned it off, it still looked like new. I wouldn’t suggest putting them through such an extreme test yourself if you can help it (that is what I am here for), but it is good to know they could handle the extra abuse. After these two weeks of hard use, they still look like new and are doing the job they are intended for…and then some. CharMats are great for anyone who is serious about protecting their outdoor cooking investment. Not only will they help prolong the life of your grill, they will make clean up a breeze leaving more time for enjoying your mouthwatering grilled creations. Something all outdoor chefs can appreciate. Who Should Not Get CharMats? Anyone who has a grill without side shelves obviously. But seriously, I can’t think of any good reasons why you shouldn’t use these if you care about the look and protection of your grill. For keeping your grill looking and performing it’s best, this an easy solution for a common problem most outdoor cooks have that is simple and effective. There really is not much to these, but they do exactly what they say they will do. If you value your grill as an investment and want to keep it looking good for years to come, then CharMats are for you. Just please remember they are for protecting and adding to the look of your grill and are not meant to be grilled on. As always, if you or someone you know is interested in the CharMats Protective Silicone BBQ Mat or you find this information useful, please consider sharing it with your Grilling friends and on social media! If you would like to leave a comment or have a review of your own to share on CharMats, please do so below. We always welcome your input. [email protected] this product is wonderful for cooks that are serious about what they cook, how they cook and how they feel about the final result. Keeping everything clean and neat as they prepare a meal is so important. I cringe as to how our food is prepared whether it’s in a restaurant or home, but when you observe yourself the preparation of making a completely delectable meal in spotless conditions you realize you have the perfect answer to your perfect result!!! You make a great point Judy. Having a tidy and clean workspace not only soothes the inner neat freak in most of us but also adds to food safety and health. You will be more productive, better organized and ultimately have better results as an end game. Seems like a no-brainer to me.